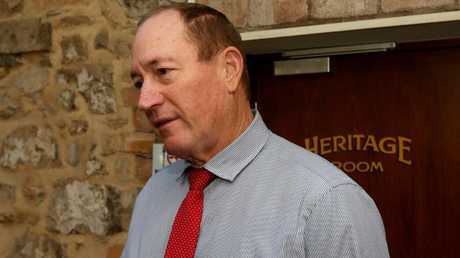 The two major parties are in Victoria campaigning today but attention has shifted further north to controversial Queensland Senator Fraser Anning, after a bizarre revelation. The Australian has obtained a manual produced by the politician's new party and distributed to prospective candidates, coaching them on how to avoid tricky media questions. 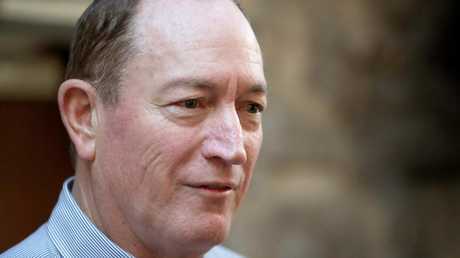 Among the curly queries that Senator Anning offers advice on avoiding is: "Have you stopped beating your wife?" The newspaper also reports that those interested in running for Senator Anning's party must sign up to his ultranationalist and pro-guns agenda before they can proceed to the final round of vetting. And while the headline-grabbing Senator wants his candidates to generate plenty of publicity, he wants to avoid "issues" like criminal convictions, controversial past jobs and inflammatory social media posts. "We want you to get publicity, but we are also mindful of avoiding media traps," the email to candidates reads. 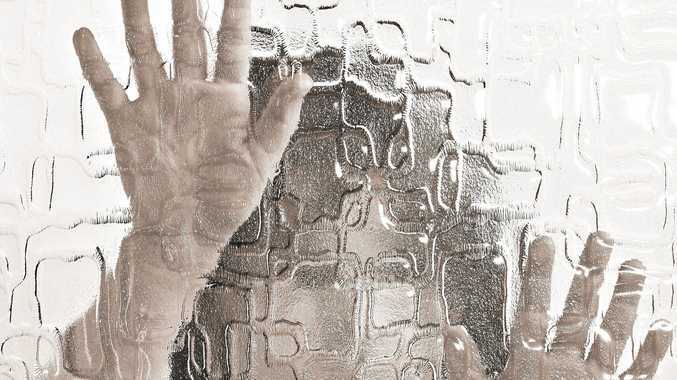 "If you are being interviewed and are asked a loaded question designed to have no good answer (as a classic example, "Have you stopped beating your wife? "), remember that the best way to respond is usually by challenging the premise of the question (e.g. 'I never beat my wife in the first place'). "We need to know ahead of time what issues may arise," it reads. "These issues may include: past criminal or legal issues; controversial career paths … inflammatory social media comments; anything else that could become an issue." 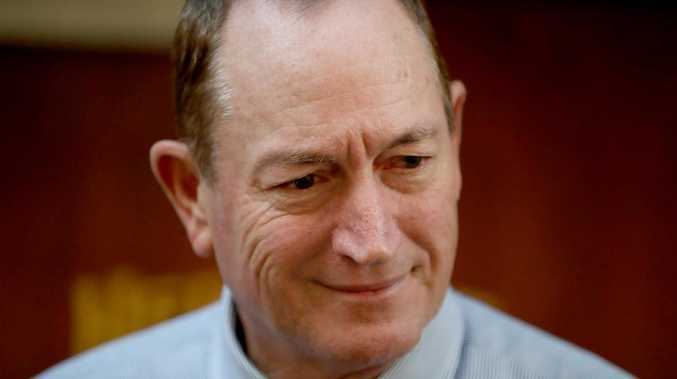 The manual for candidates details Senator Anning's support for an "English-speaking, predominantly Christian" Australia, and the "right to firearms". The revelations come on the back of a rocky several weeks for the Queenslander, who was condemned for issuing a media release on the day of the Christchurch massacre blaming Muslim immigration for the mass shooting. It led to Senator Anning being egged by a 17-year-old, who was hit twice by the politician before being tackled to the ground by his supporters and held in a headlock. The former One National Senator, who quit on his first day, defected to Bob Katter's party and was eventually dumped, was then censured by his Senate colleagues for the Christchurch comments and his refusal to apologise. Senator Anning's office has been contacted for comment. Prime Minister Scott Morrison is campaigning in a Liberal seat held by one of the men who tried to make Peter Dutton leader last year. 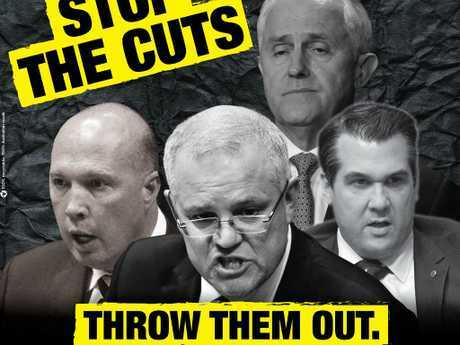 It comes as Labor rolls out campaign material reminding Victorian voters of those who played a role in the messy coup that ousted Malcolm Turnbull. Michael Sukkar holds the electorate of Deakin on 6.4 per cent after a redistribution and could face a backlash with locals angry about the leadership challenge. Mr Sukkar was one of those who ran the numbers for Mr Dutton in his bid to become PM - something the Opposition has seized upon. Election material from Labor that seeks to remind Victorian voters of Peter Dutton’s leadership coup. Sky News political reporter Kieran Gilbert points out that tailored material is being distributed to "remind voters of those who voted for (Peter) Dutton to be PM". Mr Morrison is visiting Daisy's Garden Supplies - a family run business that employs some 60 people. He will spruik the Coalition's $154.5 million investment in "busting congestion", which is a series of projects in Melbourne's east. "Small and family businesses like this … have been actually driving the performance of our economy," Mr Morrison told reporters. On Mr Sukkar's major role in the leadership chaos, Mr Morrison said he was "confident of the good judgment of voters in Deakin". He went on to repeat a clunky analogy rolled out on morning radio about champion racehorse Winx being ridden by an AFL player. "Imagine if Mason Cox had been riding Winx at the weekend," Mr Morrison said. He compared the Collingwood giant being picked to ride Winx to Labor's handling of the economy should it win government, saying only the Coalition had the correct weighting with its plans. Mr Morrison was also asked whether he agreed with Tony Abbott's comments that the "so-called science" on climate change had not been settled. "I believe in the action we are taking on climate change, and that you can take action on climate change without taking out your economy and taking out the jobs of Australians and taking out the cars that Australians want to drive and this is what we've done as a government," Mr Morrison said. 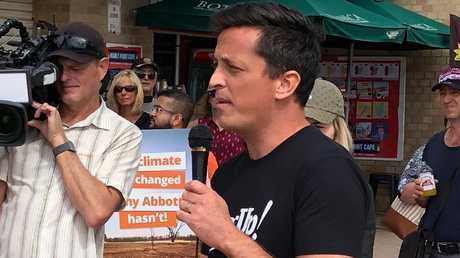 At his campaign launch in Manly on Friday, Mr Abbott told reporters: "The so-called settled science is not quite as settled as people say, and that's my position." Mr Sukkar didn't seem keen to talk to the press pack but found himself surrounded by cameras and microphones. "Scott and I have worked very closely together. It's great having him here," he said. 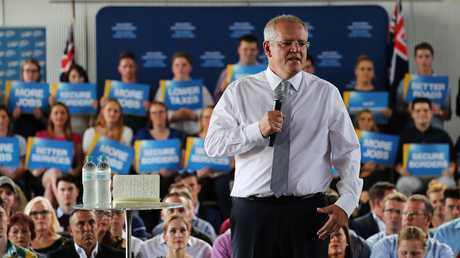 When asked how it felt campaigning with Mr Morrison "when you didn't back him to be PM", he attempted to deflect by insisting his electorate wanted to see a Coalition government returned. "Look, we have a choice in the next few weeks. The choice is between Scott Morrison and Bill Shorten. It's very clear to me what my electorate wants and that is Bill Shorten. "I'm very focused between now and the election on ensuring we have a Morrison government continuing." He would not be drawn on repeated questions about whether his support for Mr Dutton had damaged his electoral chances. Mr Sukkar pushed through the pack, saying: "Thank you. I'll see you down in Croydon. Thanks guys. Thank you." 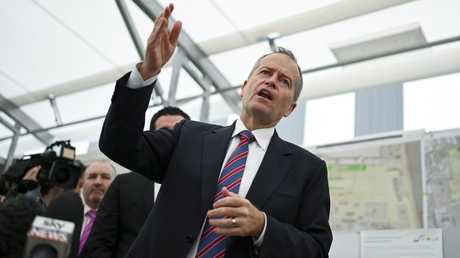 There were encouraging signs for Bill Shorten as he visited a construction site in Melbourne this morning. 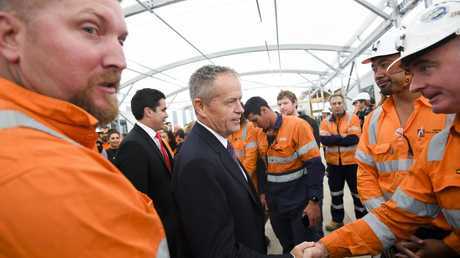 Mr Shorten spoke to workers at a Westgate Tunnel site in the electorate of Gellibrand - the safest of safe Labor seats, with a margin of 15 per cent. He focused on issues like wages, work conditions, penalty rates and cost of living, at one point cracking a joke at the expense of the bald men in the crowd. "What else in your life is the same price as 2013? Not even your haircut, everything's gone up. For some of you that's not a big issue, but I get the point," he said, drawing laughter. "The Labor Party thinks you should keep your penalty rates. We want to crack down on dodgy Labor hire. We want to make sure that your enterprise agreements stay in place until replaced by something superior, not something inferior." Another quip about the workers' TV viewing habits fell a bit flatter. "The reason why you come to work is to earn a good living. It's about being able to look after your family," he said. "I mean, you like catching up on the gossip. You can shake your head at Married At First Sight, or whatever, I don't understand. But once you've got over the initial morning chat, you're here to earn a good living." The reference to Channel 9's reality TV juggernaut earnt him a few polite chuckles at best. But one message did seem to really resonate. 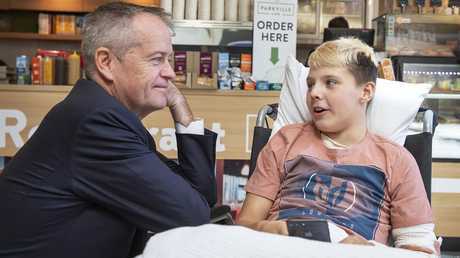 "We want to make sure that when you're in the fight of your life on cancer, you don't have to worry about who pays the bills," Mr Shorten said. "We want to reduce the waiting lists, because you can't out-wait illness. You've got to deal with it. "The most important things in life are your family and your health. If your family's OK, if your health's OK, then everything else is a bonus. "But if someone in your family's not doing well, if you haven't got your own health, it doesn't seem so important if you were at the last shift toolbox meeting or if you wrote out the minutes of the last meeting you were at." If you're the sort of person who follows politics obsessively, it can be frustrating to hear leaders repeat the same lines over and over. Mr Shorten has been speaking endlessly about his health and cancer policies since his Budget reply speech earlier this month. But this morning's event showed the value of staying on message. After Mr Shorten's speech, several workers told news.com.au they had previously been unaware of Labor's cancer plan. They said it could sway their vote. "I didn't know about the cancer stuff. That was pretty good. Better than the usual promises," one said. "He spoke well. I thought it was good. Solid," said another. Other voters were less fulsome in their praise, saying only that Mr Shorten had been "pretty good". A group of female workers looked on, bemused, as their colleagues posed for selfies with the Labor leader. Mr Shorten ended his appearance with a plea to the workers to make sure they turned up on Election Day. "Please don't waste your vote on May the 18th. Vote Labor at the next election," he said. It's been revealed that the organisation GetUp! has raised $12.5 million in donations in the past year to help it put pressure on political candidates. The left wing group insists it's independent but will target a string of Coalition MPs at the election, saying it wants to "remove the hard right". Channel 9 reports GetUp! will target 30 electorates in its war against conservative candidates. The government says it's all "a front for Labor". "Australians should only support GetUp! or Bill Shorten if they want to pay more tax and believe that Bill Shorten can spend their money better than they can," Coalition campaign spokesman Simon Birmingham told Channel 9. GetUp! is running campaigns against a slew of Coalition figures, including Tony Abbott, Peter Dutton, Greg Hunt, Christian Porter and Kevin Andrews. The PM was on 2GB radio this morning taking aim to Labor's so-called "new taxes", referring to the Opposition's plan to scrap franking tax credits for shareholders and scaling back negative gearing. Breakfast host Alan Jones cited Treasury figures that argue Labor's plans would "take $387 billion from taxpayers over the next 10 years". It ties in with the government's message that a vote at the election could dictate what happens over the next decade. "Absolutely, these figures are out there - that includes the $57 billion they'll take in the retirees tax," Mr Shorten said. "It includes the $30 billion in the housing tax. It's a family business tax of almost $30 billion. Even when you go to put in superannuation, that's another $30 billion." The Prime Minister attacked Labor's plan to drastically change negative gearing, making it so the tax allowances for property investors would only apply to new dwellings - not existing ones. He argued that the policy would see rents rise by removing incentives for landlords and reducing housing supply. "This is an aspiration tax. They're going to tax people who are working hard and trying to get ahead," Mr Morrison said. Although, it's worth pointing out that the negative gearing policy will be grandfathered - as in, they won't apply to investors with a property before the changes come in. Meanwhile, later on 3AW, Mr Morrison again spruiked the government's economic credentials as a point of difference to Labor's legacy. "If you can't manage money, you can't run the country," he said. “If you had Mason Cox riding Winx the other day, she probably wouldn’t have won...” the PM tells Melbourne’s 3AW, suggesting Labor’s economic plan would be the equivalent of putting a 110kg, 6ft11 football player on a racehorse. Although the PM used a fairly bizarre and mixed sporting analogy by comparing Labor's plan to enlisting Collingwood star Mason Cox to ride Winx. "If you had Mason Cox riding Winx the other day, she probably wouldn't have run as fast," Mr Morrison said. "She's a champion but she's mortal … you're not going to put a big unit on a horse." Voting Labor would be like putting a "big unit" on a racehorse … we think? Kerryn Phelps, the independent who won Mr Turnbull's vacated Sydney seat of Wentworth at the resulting by-election, said voters had not forgotten about the damaging instability. "It's the same government, the same party that ousted Malcolm Turnbull," Dr Phelps said. "That anger persists." Meanwhile, the Liberal Party has rolled out a timely meme targeting Mr Shorten's so-called "higher taxes". The highly anticipated new and final season of Game of Thrones kicks off today and the party has taken some inspiration with this social media image. The first Newspoll conducted since the election was called has delivered good news for the major parties and a dire warning for Pauline Hanson. Labor has retained its two-party preferred lead over the Coalition of 52 to 48, although both are dead equal on primary votes of 39 per cent each. That neck-and-neck result is thanks largely to a collapse in support for Pauline Hanson's One Nation, in the wake of the gun lobby scandal. Support for the controversial party has slumped to just four per cent, its worst Newspoll result since 2016. 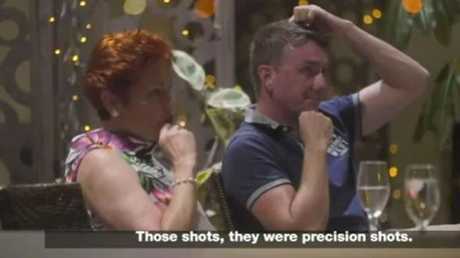 It comes after secret videos recorded by an undercover journalist exposed Senator Hanson's chief of staff James Ashby and One Nation's Queensland leader Steve Dickson seeking money from the US gun lobby in exchange for political influence. Senator Hanson was also captured on camera appearing to suggest the Port Arthur massacre was a government conspiracy. The party shaved two points off its primary result over the past two weeks. It marks a dramatic fall from grace from a peak of 11 per cent of the national primary vote just two years ago. One Nation leader Pauline Hanson exposed by hidden camera as part of an undercover investigation. Should the two-party preferred result be reflected at an election, it would result in the loss of 10 seats for the Government. However, Mr Morrison still holds an 11-point lead over Mr Shorten in the preferred PM stakes. Mr Morrison will be in Melbourne today to spruik the Coalition's $154.5 million investment in "busting congestion". It's been a running theme throughout his campaign so far and Mr Morrison will today announce projects funded in Melbourne's east, as he looks to shore up vulnerable seats. • $24.5 million to construct a city-bound third lane on Canterbury Road between Dorset Road and Liverpool Road in Bayswater. The Croydon link is located in the electorate of Deakin, a seat held by Michael Sukkar, who despite a 6.4 per cent margin could be in trouble if voters turn against the Liberal Party in a repeat of last year's state election. "Victorians don't have time to sit in traffic - they want to spend more time at home with their families or more time on site earning money," Mr Morrison said in a statement. "Our multi-billion dollar investment in Victorian roads is possible because we're building a stronger economy and getting the budget back in surplus. "If you can't manage the economy - you can't pay for roads like these." The Coalition established a $1 billion Urban Congestion Fund in the 2018/19 Budget before quadrupling funding to $4 billion in this year's Budget. There are a number of seats in play in Melbourne especially in the city's east. These include La Trobe and Chisholm, which is held by Julia Banks who has quit the Liberal Party and will now contest the seat of Flinders. Mr Morrison spent the weekend in Sydney and Queensland, dropping in to Randwick to watch Winx's historic last race and doing street walks in the NSW suburb of Strathfield and at Queensland's Redcliffe markets. 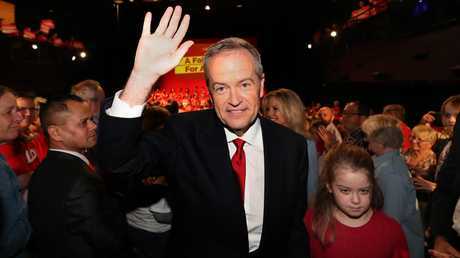 Both leaders held rallies, the PM's was in Brisbane, while Mr Shorten addressed supporters in Sydney. The Labor leader also held a town hall in the regional NSW seat of Woy Woy and visited Sydney's Easter Show. Mr Shorten is also in Melbourne today and will outline details of Labor's $250 investment in slashing public hospital waiting lists. The spend is part of a $2.8 billion Better Hospitals Fund and aims to reverse the tide on ballooning elective surgery delays, which have increased by 10 per cent since 2013. New South Wales has the lengthiest waiting lists with an average of 55 days and will take the lions share of funding, with $72 million committed to easing delays. Today's focus continues Labor's push on health spending and is in addition to the more than $2 billion committed to cancer care. The Australian has today given some insight into the outlets that both Mr Shorten and Mr Morrison are actively avoiding during the campaign. According to the newspaper, the PM is not a fan of ABC's panel show Q&A and has no intention of breaking his six-year snub streak any time soon. And Mr Morrison has also knocked back countless requests to appear on FM breakfast show Kyle and Jackie O - including an on-air plea from shock jock Kyle Sandilands and an offer of $30,000 to the charity of the PM's choice if he showed up. 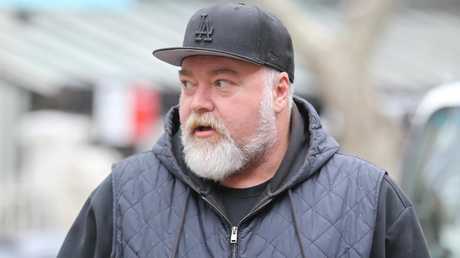 "From day dot, we never existed to them," Sandilands' manager Bruno Bouchet told the newspaper. "They have had zero interest in coming on - not that our show's really suffered." Bouchet went on to deliver a warning: "I would counsel him that we are the show with the largest number of swing voters. They've pretty well made up their mind at 2GB and the ABC. But if you want to sway things, you do appearances with Kyle and Jack." Meanwhile, The Australian also reveals that Mr Shorten is steering clear of 2GB's 'big four' - Jones, Ray Hadley, Chris Smith and Ben Fordham. Jones told the newspaper that Mr Shorten had a standing invitation to appear, while Hadley's team has been trying to get an interview for years. But, as the paper points out, Mr Shorten is fond of appearing on Sandilands' show, describing the pair as having a "bromance". News Free event to keep kids entertained during Easter long weekend. Horses Riders in town for annual Easter event.